Judging by this midwest weather it seems that planning for fall fashion might be good to start doing. Being a fan of the layered look, this jacket stood out to me. Complete with drawstring hood, 2 sets of zippers, and front pockets, the heather grey/brown leather look should work with more any color combination of pants/shoes/accessories. "With a stylish faux leather shell and soft fleece linging, this jacket will keep you looking just as fly as you are warm and comfortable. The Jealous Lover Jacket is a signature Obey style and a staple piece for achieving the ultimate city girl aesthetic. 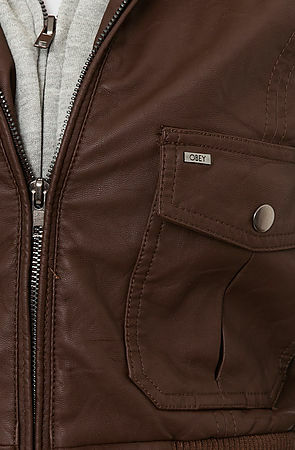 Check out our full selection of Obey apparel and accessories for pairing ideas." 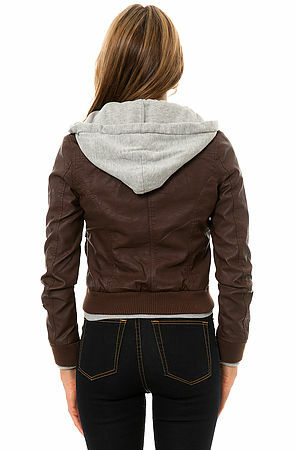 Ladies, order your The Jealous Lover Jacket by OBEY here (and enter rep code "Essince" for a discount. Fellas, take some style tips on layering and color combos.